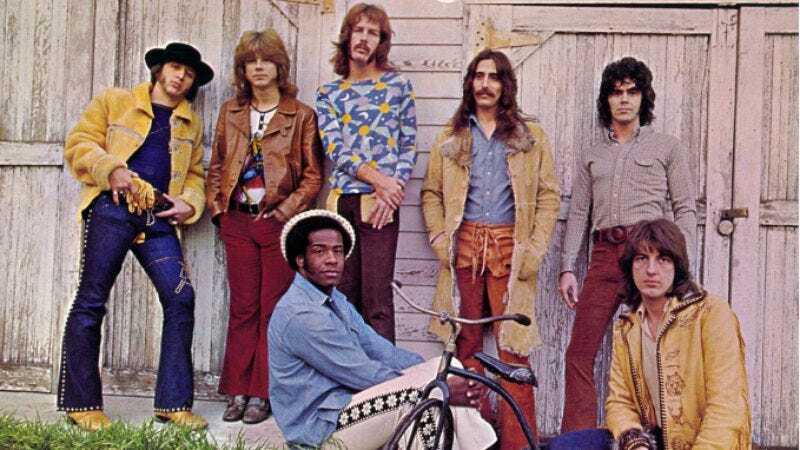 Three Dog Night was one of the most popular rock bands of the ’70s, with no fewer than three lead singers (Danny Hutton, Chuck Negron, and Cory Wells) and a solid outfit backing them up (guitarist Mike Allsup, keyboardist Jimmy Greenspoon, bassist Joe Schermie, and drummer Floyd Sneed). Almost every song turned into a party for the multi-player band (“Celebrate,” “Joy To The World,” “Never Been To Spain”), but one gathering took a wrong turn. “Mama,” the very first No. 1 song featured on American Top 40, was penned by Randy Newman, of all people. The members of Three Dog Night had excellent taste in song selection; other TDN hits were written by Paul Williams, Elton John and Bernie Taupin, and Leo Sayer. This novelty-esque number was right in the wheelhouse of the future “Short People” and “I Love L.A.” writer, who would go on to write award-winning songs for Disney and Pixar movies. The prolific Newman said that he based the song on music-industry parties he visited when he first came to L.A in the ’60s. In movies from Fear And Loathing In Las Vegas to Boogie Nights to Percy Jackson & The Olympians: The Lightning Thief, “Mama” has gone on to indicate festivities that partakers should best be avoiding. That ain’t the way to have fun, son.